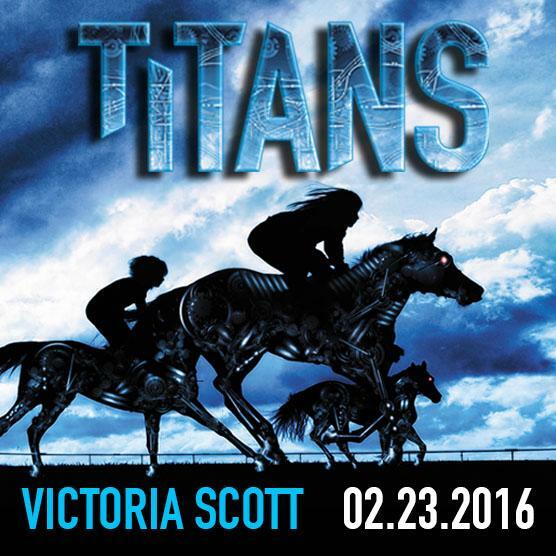 TITANS by Victoria Scott: Countdown Timer Reveal!!! Soooo, this super cool chick (below) wrote another super cool book and we are honored to host an EXCLUSIVE REVEAL…. Hey, #VMafia. Guess what? THE MOST HIGHLY ANTICIPATED COUNTDOWN TIMER OF THE SEASON IS FINALLY HERE. Please join us in showing our excitement and anticipation for Victoria Scott’s upcoming release, TITANS (Scholastic 2016), by sporting this amazing count down widget on your blog or website! TITANS Count Down Widget courtesy of Erin Westlund. 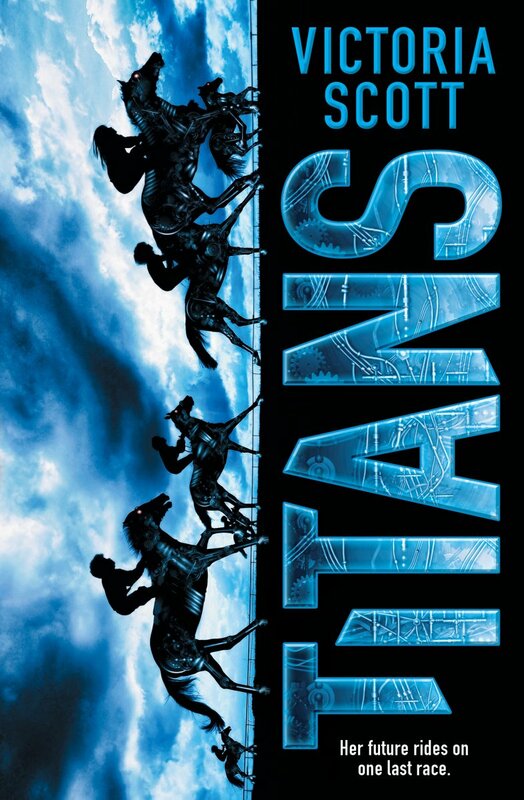 Ever since the Titans first appeared in her Detroit neighborhood, Astrid Sullivan’ s world has revolved around the mechanical horses. She and her best friend have spent countless hours watching them and their jockeys practice on the track. It’ s not just the thrill of the race. It’ s the engineering of the horses and the way they’ re programmed to seem so lifelike. The Titans are everything that fascinates Astrid, and nothing she’ ll ever touch. She hates them a little, too. Her dad lost everything betting on the Titans. And the races are a reminder of the gap between the rich jockeys who can afford the expensive machines to ride, and the working class friends and neighbors of Astrid’ s who wager on them. But when Astrid’ s offered a chance to enter an early model Titan in this year’ s derby, well, she decides to risk it all. Because for a girl from the wrong side of the tracks, it’ s more than a chance at fame or money. Betting on herself is the only way she can see to hang on to everyone in the world she cares about. STEAL THIS AVATAR for your TWITTER, FACEBOOK, INSTAGRAM, TUMBLR, ETC.! To hold you over, make sure to check out Victoria’s Dante Walker trilogy (Entangled Teen) and Fire & Flood series (Scholastic). Victoria Scott is the acclaimed author of nine novels including FIRE & FLOOD, THE COLLECTOR, and the upcoming WE TOLD SIX LIES (January 2019). Victoria’s books have been YALSA-nominated, have appeared on the prestigious Spirit of Texas Reading Program, and have been included on Bank Street College of Education's Best Books of the Year list. She’s been featured in USA Today, Girls’ Life Magazine, and Glitter Magazine, and her stories have been translated and sold in fourteen countries across the world.